Review: Ok this review comes with a lot of trigger warnings so make sure you read the synopsis before deciding whether this book is for you. But I will tell you that this book was definitely for me. I loved this book. The premise behind it sounds like it is going to be a usual story of addiction and recovery but this novel is so much more clever than that. I am actually in awe of how this author managed to come up with this plot line and its twists and turns, I don't think I could write something so intricately crafted. 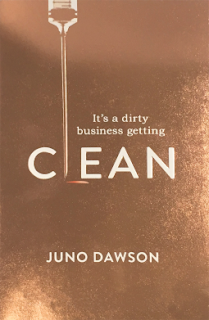 Lexi as a character is a little hard to get on with but she challenges the reader throughout the book and she had definitely grown on me but the end of the novel. As the synopsis might suggest, she is entitled and selfish and so she makes for great reading material. The journey that she goes on over the course of the book, all its ups and downs is gruelling and so i did definitely sympathise with her throughout MOST of the story. There are also some other really interesting and diverse characters in this book, some of which I would LOVE to read more about, so if there are any spin offs planned-count me in! Of course this book deals with a range of issues and some of the drug taking and the recovery process from that is quite graphic. It put me in mind of Trainspotting in parts but I really feel like I have learned something after finishing this book having never been part of the world that Lexi is part of. It was eye opening, compelling and educating. It was entertaining and definitely a page turner. 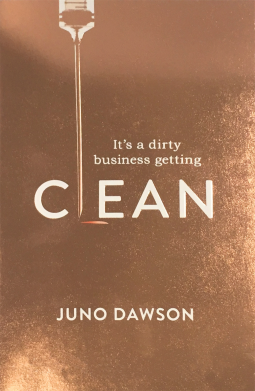 If this book sounds like it is something you are in a space to read at this moment in time then I definitely recommend it and I can't wait to see what Juno Dawson comes up with next!